The year was 1830. John Rich, an immigrant from England, got his start selling wool fabric and yarn to lumberjacks, and continued selling wool throughout the civil war. He went on to start the historic Woolrich Mills in Woolrich, Pennsylvania. Today, they are the oldest producer of wool in the country. 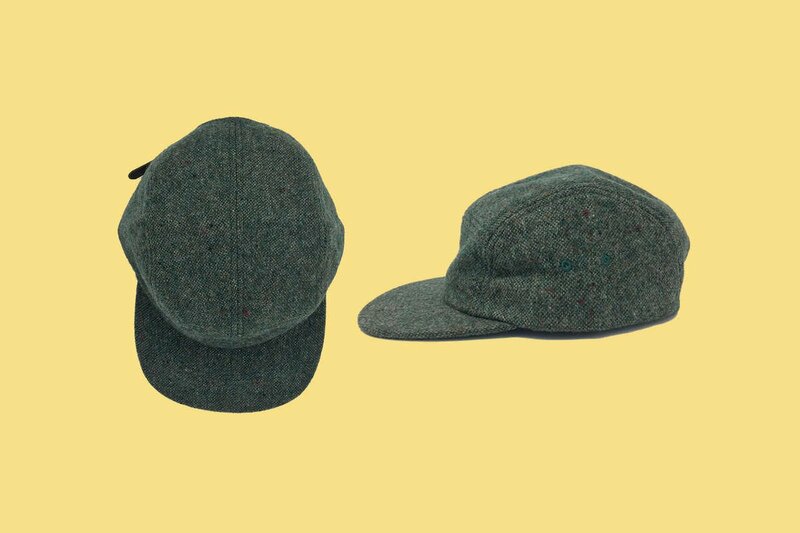 And that same mill produces the wool tweed to make this five panel camper hat. Fun fact: Woolrich Mills produced the clothes for the movie The Horse Whisperer. You could try whispering to horses, or just enjoy the history, comfort, and quality of your new hat. We love fabrics that are simple with slight texture and subtle color specks. This wool blend is from the historic Woolrich Mill in Pennsylvania. It's of the highest quality and a bit thicker than your average hat. The base color is a forest green, slightly lightened with a thin woven khaki and specks of burgundy and brown. We wanted a hat that worked great across more formal or more casual occasions. We hope you love it as much as we do. Want to know when we drop new designs?